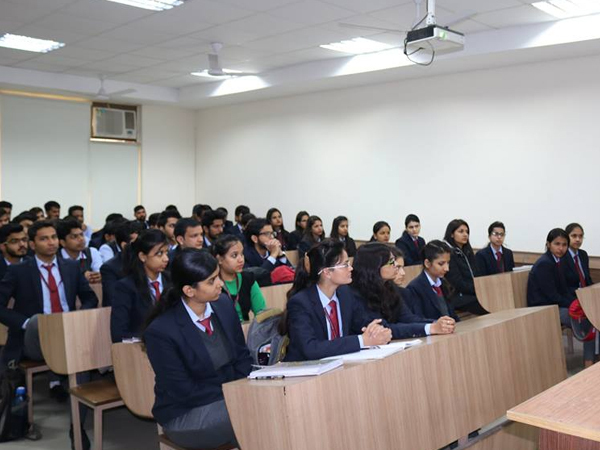 Department of Management Studies organized a one day workshop on “Career in Banking and Finance sector” with two eminent personalities from the industry. 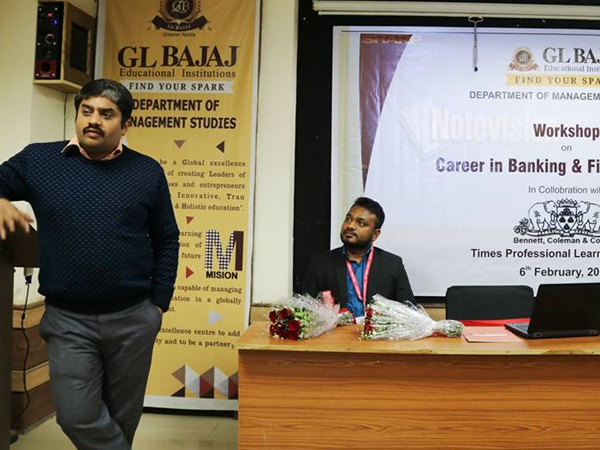 Mr. Saurav singh , Assistant Manager and Mr. Anil Tiwari, Zonal Business Manager associated with Times Professional Learning Pvt. Ltd.
TimesPro is an education initiative by The Times of India Group with an aim to revolutionize professional education in India. Addressing the gap between education and industry employability, this initiative is focused on creating a pool of talented and well-trained professionals who would be fit for the sector they aim to work, grow and excel in. 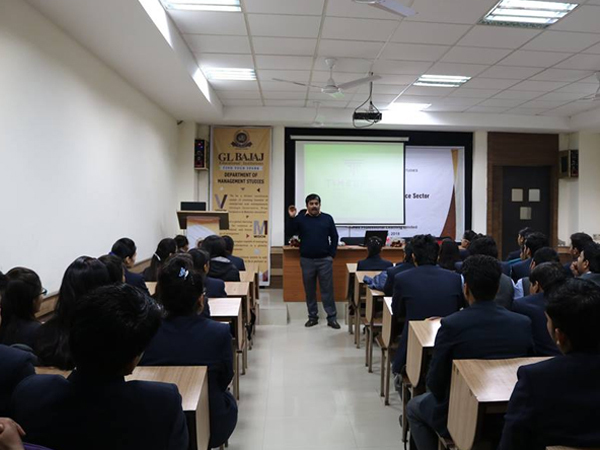 There is unending demand for skills in corporate which is full of multitude of tasks and activities and our professionals need to develop themselves to fulfil the requirements of the industry.